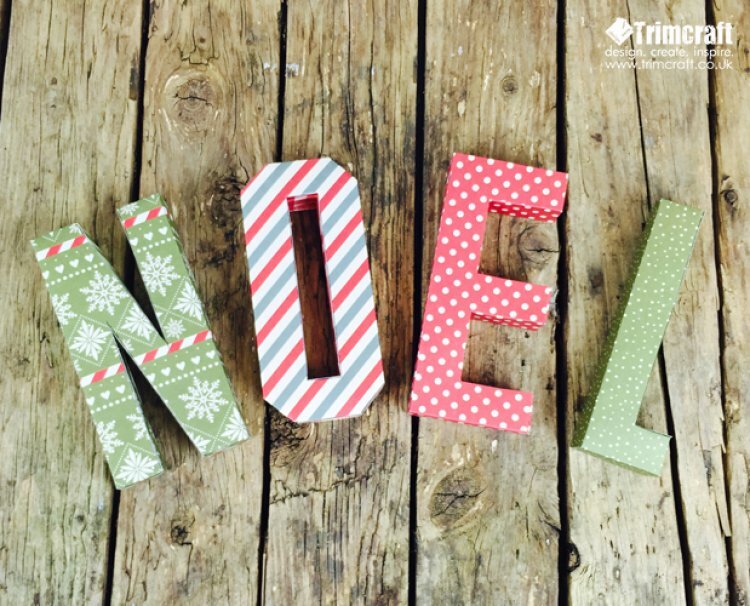 Christmas is one of our favourite months to craft for and these 3D letters have got us in a festive mood at Trimcraft HQ, we suggest making them from First Edition paper to make them strong enough to stand up. 1.Cut out your template and place on your chosen paper, if tracing on the back reminder to have your letters facing the right way when cut out. 2.Cut out your letters following the template lines then score the fold lines with a bone folder and metal edged ruler to get a perfectly straight edge. 3.Assemble your letters and glue the pieces together using strong tape. We would love to see your version of this festive make so remember to upload and share them into our project gallery & tag @Trimcraft on social media.